Best TV Shows of 2018 This year we say goodbye to The Americans, but we also celebrate new gems like Queer Eye, Killing Eve and Homecoming. Queer Eye, Homecoming, Killing Eve, Vida, The Good Place and Big Mouth all made NPR's top list. Hundreds and hundreds of series air every year. They are good and they are lousy; they are new and they are old. 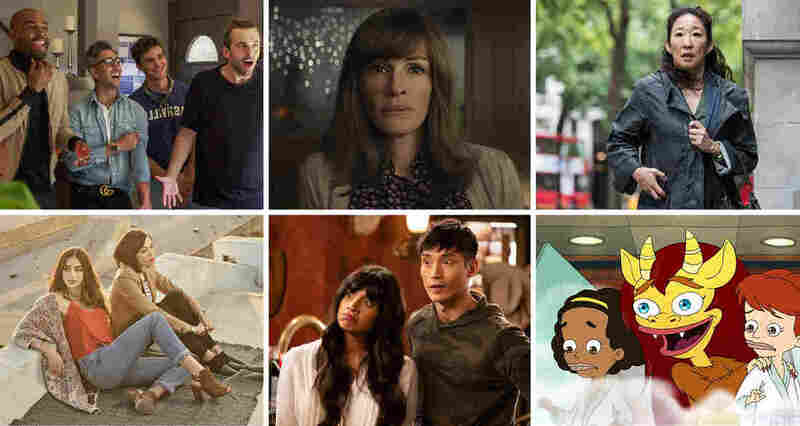 There's too much television for a comprehensive ranking, so Glen Weldon, Linda Holmes and Eric Deggans round up 16 of their favorite shows from 2018. Jessica Reedy produced and edited this story.